There are many ways of working from the design problem (the need) through to the finished design product (physical object). However most will follow a very similar route. If you watch something like Dragons Den on BBC 2 then you will be able to see many products and services which have developed from very real needs. More often than not the need has come from personal experience or needs of the individual. They have seen something and thought they can solve the problem. Not everyone can do this and they frequently fail because they don;t have the skills or ability to see the design through the whole process. Trained designers should have the skills to take and idea and work it through to a prototype for testing and then finally through to a finished, marketable product. Identifying the need in the first place is often the hardest or somethings the easiest thing to do! You might think that the product that you have is the best thing ever (lots of the entrants to DD think this) but other people might not be able to see the need or use for the product. You only have to look at some of the products in ‘gadget catalogues’ to realise that many designs are unnessessary for most of us. The clip here is of a teaching product which as a teacher I could not see why anyone (including teachers) would want to buy it! Most teachers that I know make their own teaching aids and would not pay the kind of money that is being suggested here. The Dragons were right this would not make any money for them or the designer! The Need: This is actually realising that there is a problem to be solved. Lets take the idea of being hungry. We realise one way or another that we are hungry. So what do we do about it? There are many solutions to this problem of course. Investigate the Solutions Available: Research takes many forms and will be different for different products. Sometimes just looking at the problem and how others might have solved might be the only thing you need to do but this is unlikely. 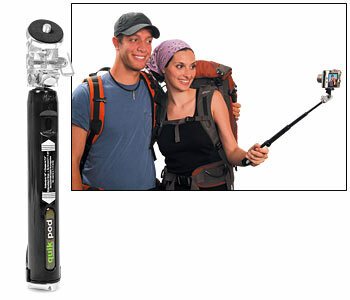 This is one of the most pointless gadgets available on the market this year! Mmmm and such a bargin at £20 plus p&p!